Appetizers have always held a special place in my food memory bank. Many years ago, before eating green was in vogue, my mother grew her own vegetables, made most everything from scratch, and fed her family fresh, healthy foods. When her children were too hungry to wait for dinner, my mother created a platter of carrots, celery, cucumber and radishes. Then I did not know that this was an appetizer. Now while I still enjoy appetizers and I continue to look for healthy options, I also seek more complex flavors. 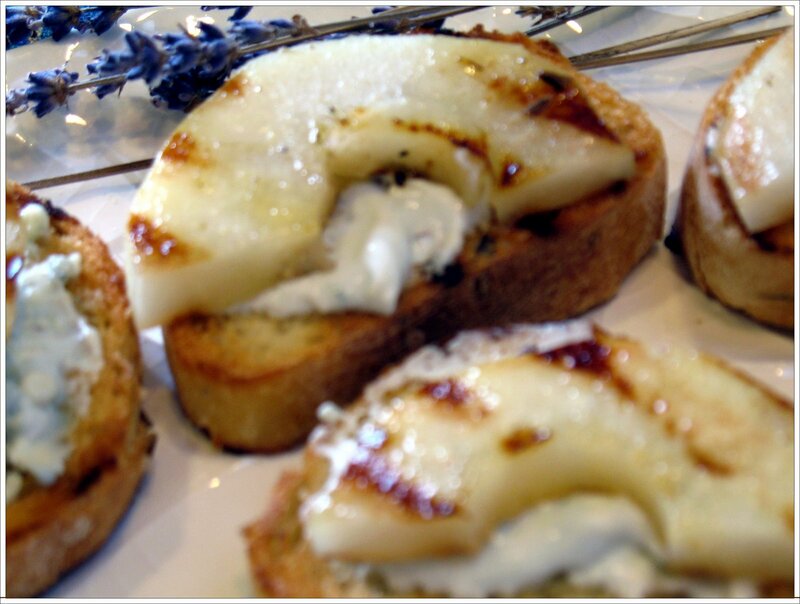 Combining pears, lavender and goat cheese results in a pleasing flavor fusion. Serve this with a cold white wine such as pinot grigio. 4. Grill apple rings over medium heat. Turn once after apple is softened and has grill marks, about 4 minutes. Remove from grill and cut each ring in half. 5. Grill baguette slices, turning once until slightly toasted, about 1 minute. 6. Spread bread with goat cheese and top with apple slices. 7. Place crostini on a platter and sprinkle with 1/2 teaspoon chopped lavender. Julia Child had most everything right. Her influence on American cuisine continues to lead us to enjoy good food. Her recipe for grilled leg of lamb is nearly perfect. I just had to tinker just a bit to incorporate lavender into this dish. Lamb, lavender, southern France belong together. Don’t wait for a special occasion to try this. 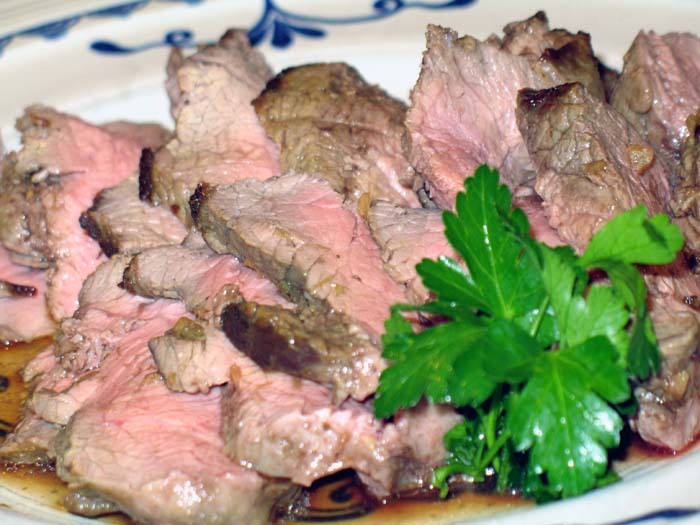 The lamb’s flavor is complemented by the mixture of soy sauce, lemon juice and lavender. I would love to hear from you about how you season lamb! Easy, elegant and delicious, this dish is perfect for a dinner party or patio supper. The lamb soaks up the lavender-infused marinade. The result is a tender and palate-pleasing main course. 1. Flatten the lamb by pressing on it and place in a large dish, boned side up. 2. To ensure even cooking, make 1 inch slashes in 2 or 3 places at thickest part of the meat. 3. Rub 1 tablespoon of olive oil on the unboned side of the lamb. This side faces down in the baking dish. 4. Rub remaining olive oil along with the soy sauce, lemon juice, lavender and garlic puree onto the top side. 5. Marinate lamb for one hour. 6. Place in oven pre-heated to 375°F. Roast for 20 minutes or until temperature reaches 120°F. 7. Brush with olive oil, place under broiler for 7 minutes until the lamb is browned. Let sit for 8 minutes. Then cut into diagonal slices. Seattle is often gray and dark this time of year. Maybe that is the reason this soup appeals to me. Its bright color matches its bright flavor. The complex taste has many layers. 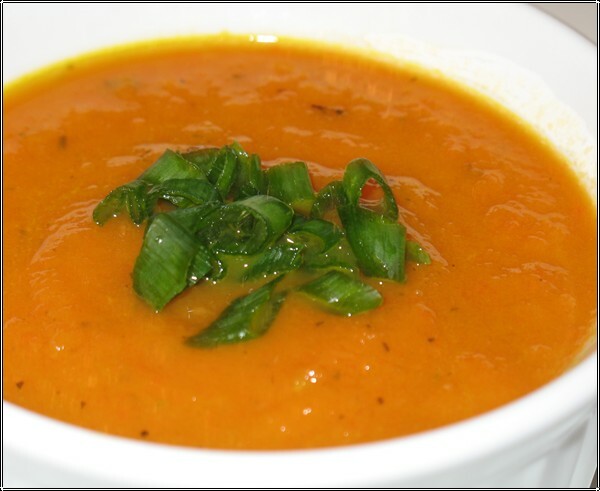 I used herbes de provence to accent the sweetness of the carrots. Curry was added to give the soup a little kick. Heat oil in heavy large saucepan over medium-high heat. Add onion, minced ginger and herbes de Provence. Sauté until onion is translucent, about 5 minutes. Add chicken stock and sliced carrots. Cover and simmer until carrots are tender, about 45 minutes. Working in batches, puree mixture in blender or processor. Return soup to saucepan. Stir in orange juice. Cook over low heat 5 minutes. Mix in curry, salt and pepper. Season soup to taste with salt and pepper. Bring to simmer before continuing, thinning with more stock if desired. Ladle into bowls, garnish with snipped chives and serve. 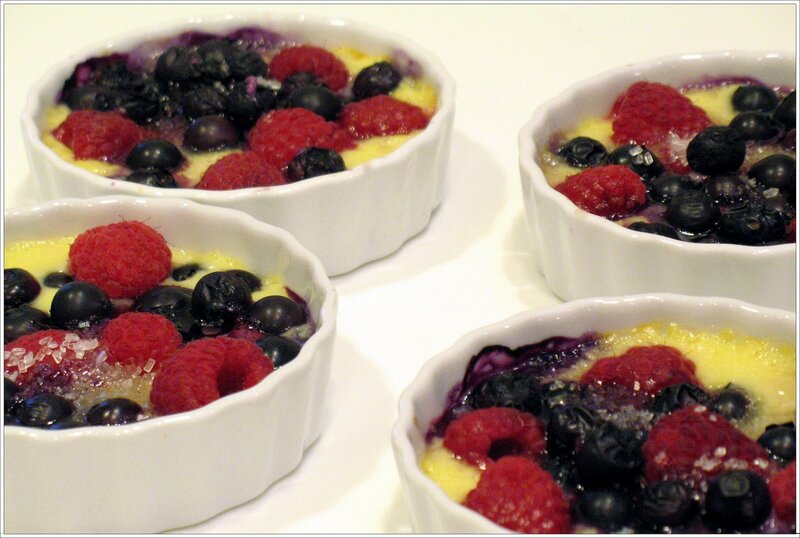 Blueberries and raspberries sit on top of an egg custard sweetened and flavored with lavender honey in this dessert. I sprinkled a bit of sugar over the fruit, and then set it under a hot broiler. The sugar caramelizes and gets a little crusty. This sweet gratin has it all: color, flavor and texture. 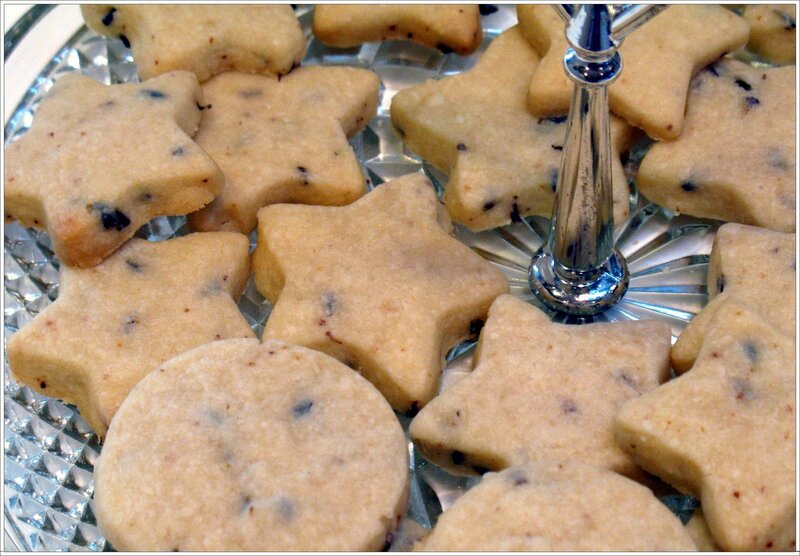 Shortbread cookies originated in Scotland. Butter, sugar and flour are blended to create a rich and simple cookie. My version brings in lavender and lemon flavors. 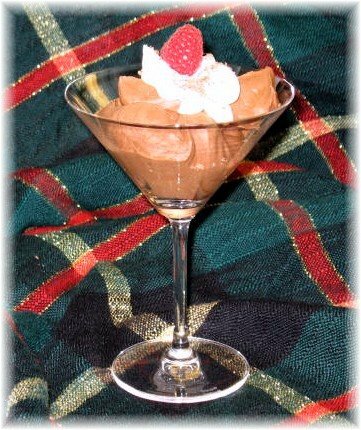 Chocolate Mousse, an elegant dessert, became popular in the United States in the last part of the 19th century. The rich and frothy dessert is usually made with eggs, chocolate and cream. Mousse is a French word meaning foam. Julia Child’s chocolate mousse recipe uses egg yolks, sugar and butter and instead of cream, Julia uses egg whites. Today, most people do not want to eat raw eggs, so I began looking for an eggless version of chocolate mousse. I found three alternatives. The first and the most simple uses chocolate, sugar and whipped cream. Simple to make, this recipe results in a rich, dense mixture with an intense chocolate flavor. Break the chocolate into pieces and then melt it, using just enough heat to gently melt the chocolate. Stir the chocolate with a wooden spoon as it is melting. While the chocolate is melting, add the sugar to the cream and then whip the cream until it is foamy. Once the chocolate is melted, “fold” in the whipped cream. Spoon the mixture into attractive glasses. 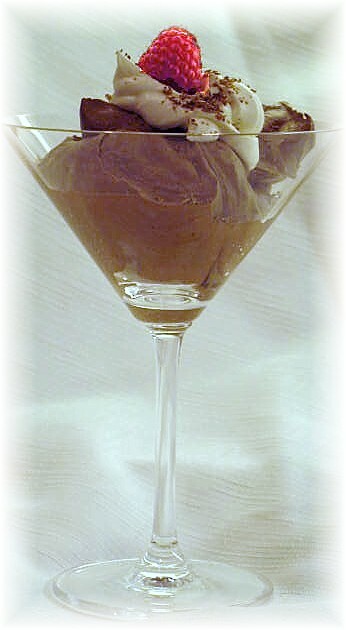 Place the glasses in a refrigerator for at least an hour before serving, to allow the chocolate to cool. Another eggless version of this French classic uses gelatin as the thickening agent. I have not yet tested this one. It looks easy. I found this one on the Food Network. Hershey also has a Chocolate Mousse recipe. The third option for an eggless chocolate mousse is based on using ricotta cheese. Fast, easy and delicious, this is my favorite recipe. I came across this recipe in the January issue of Real Simple. 4 ounces semi-sweet chocolate, melted. In food-processor, blend ricotta, sugar and melted chocolate. Divide among bowls and top with shaved chocolate. The mousse can be refrigerated until ready to serve. Up two days. Testing recipe gets me in a great mood. Yesterday, my grandchildren and I made Blueberry Cheesecake Bars. The original recipe was published in Better Homes and Garden in the summer of 2008. One of my sisters sent it to me suggesting I modify to include lavender. I changed the recipe some months ago, and yesterday I did the taste test. I added lavender sugar to the cream cheese topping. 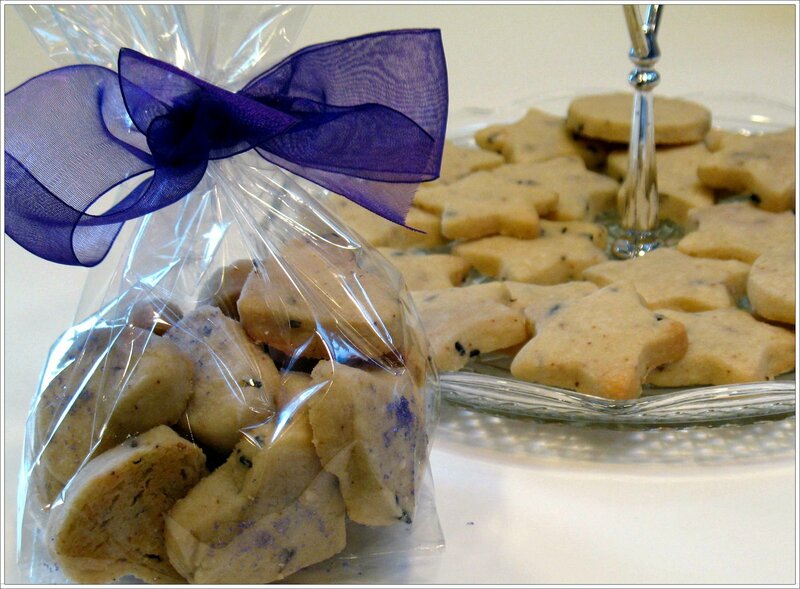 The combination of blueberries and lavender is a natural. Although, you can barely detect the taste of lavender, the blueberries just jump out and express all their fantastic flavor. What do they say about looking good? Better to look good than to feel good! These bars taste terrific and they look elegant, too. Here is the recipe, enjoy. Please comment and tell me what you think about the lavender. Preheat oven to 350º F. Lightly grease 13x9x2 inch baking pan; set aside. For crust, heat butter in small saucepan over medium heat until the color is like light brown sugar. Remove from heat; set aside. In medium bowl, stir together graham crackers, flour, coconut, pecans, and 1/4 cup sugar. Stir in butter until combined. Evenly press on bottom of prepared pan. Bake 8 to 10 minutes or until lightly browned. Meanwhile, in large mixing bowl beat cream cheese and 2/3 cup lavender sugar on medium until combined. Add eggs, milk, and vanilla. Beat until combined. Pour over hot crust. Sprinkle with blueberries. Bake 18 to 20 minutes or until center appears set. Cool in pan on rack. Cover and refrigerate. Cut into bars. Store covered in refrigerator. Makes 32 bars.